Earlier this week, with ten minutes to spare before gymnastics pick up, I popped into the nearest store I could find (a Wal-Mart Neighborhood Market) in search of self-adhesive gift tags for Christmas. I found the American Greetings stand easily, and made my way to the register line. As I stood in my spot, I could see the shoppers filed in line before me becoming frustrated with the woman whose bill was being tallied. She seemed to be in no particular hurry, and there weren’t many other cashier lines to choose from. After an employee came to the front, opening the checkout lane adjacent to ours, I watched our line dwindle as the newly opened one swelled. I chose to keep my spot. And now that I was directly behind the woman who’d been holding up the line, I realized the cause for the delay. 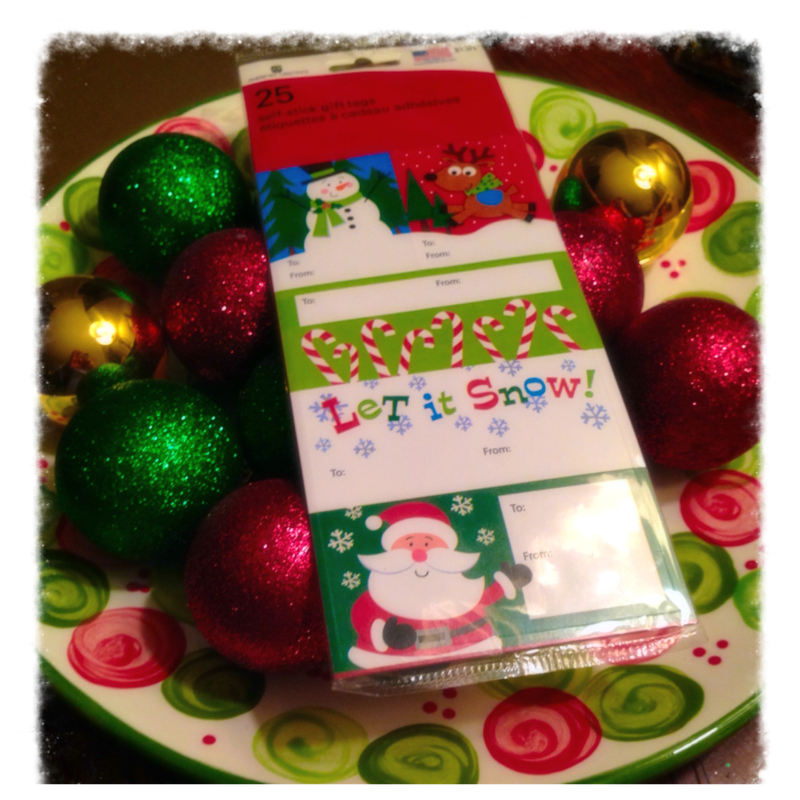 In my hand I held $3.98 worth of gift tags. Pieces of sticky paper with cutesy holiday designs on them, to be pressed onto packages wrapped in paper that, after their duty of looking pretty under my tree, would be dismantled and thrown in the trash can, only to have other decorative Christmas Day waste heaped upon it. It was just a quick errand to find these self-adhesive gift labels. Just one of the many unnecessary extras I’ve purchased this Christmas season. “Please put it on mine,” I said quietly, kind of afraid I might offend her. She and the cashier both looked at me. I asked her just to pay it forward when she can, and then turned to the cashier to pay the $13 and change I owed. Barely eight bucks over the Christmas gift tags that had brought me there in the first place. It was a small gesture, but one my heart seized at in the moment. Pulling into the parking lot for gymnastics pick up, I marveled at the fact that instead of me becoming grouchy from the perceived inefficiency with the store’s checkout line capacity (typical me), I’d instead stumbled into a moment where I chose to show kindness instead of indifference. So to the lady I met in the Wal-Mart Neighborhood Market cashier line this past Thursday night, thank you.